Be ready for a treat under the summer heat at Asiatravel.com's Summer Travel Fair happening on April 27-29, 2018! 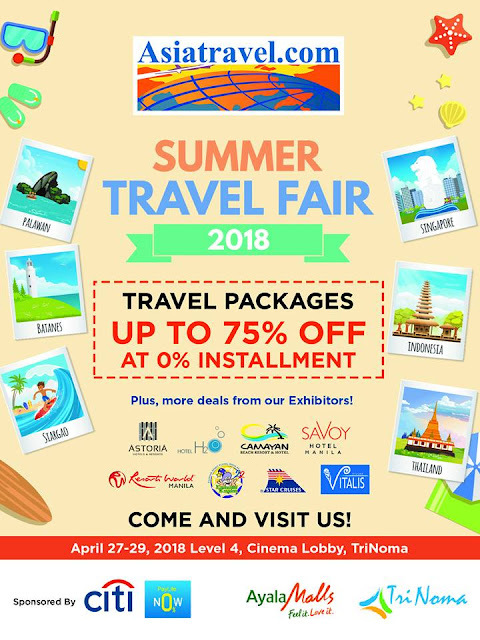 Enjoy great deals up to 75% OFF on your trips this 2018! Exclusive rates from hotels and flights await you! 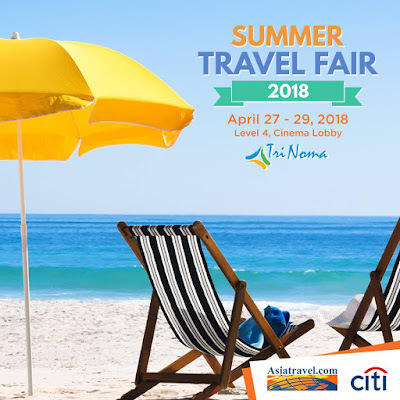 Visit the Asiatravel.com Summer Travel Fair at the Level 4, Cinema Lobby, TriNoma, and participate in fun activities to claim exclusive freebies from Krispy Kreme and Vita Coco! Plus....enjoy 0% interest on installment with your Citibank credit cards.